This is a very spontaneous post. I've had something simmering in my brain for a long time and this past week it's been coming clearer. I made a lot of bold statements on Twitter the past few days blaming the buyer more than the salesperson for being a problem with a sale gone wrong. Business buyers are struggling to find the correct partners and technology to help them stay current and grow. 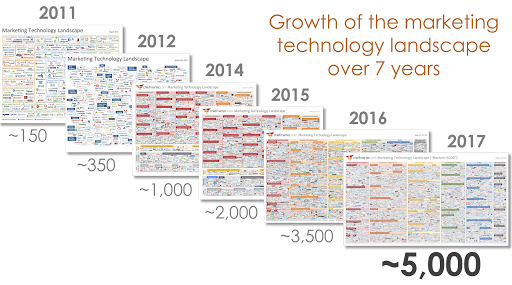 The explosion of decisions for Marketing Technology isn't helping. Things have changed and we don't want to use the phone and talk to a salesperson when we are researching things we need for our business. The website doesn't answer all of it, and we need a little bit more info. Here's the problem 👉 Talking to a bunch of salespeople isn't productive when we're just trying to get an idea. I'm no different. Neither are Bob and Lisa. But Bob's gonna fail and Lisa is a winner who's gonna keep winning. I got a form emailed to me yesterday from a guy named Bob who was trying to find help. Somehow he found me. I don't know, because he wouldn't say. He's failing with his marketing right now. I think I know why, but I'm not sure. But I'm certain it's him. Here's why. He sent me an email with cut and paste copy of what he's doing and attached a questionnaire form for me to fill out. This is actually a question from his form! What is your client’s typical return on investment? Really Bob? I'm wondering what the companies typical return on their investment in Bob is. The other questions were like what you'd get for a job application at a fast food joint. 🍔 before you talked to the supervisor. Seriously? Is fixing this part of your business an entry level job interview? Bob "buys funny". I asked Bob why he sent this and what he's trying to do? He dodged that simple question and pretty much said "I'm in the research stage and just want you to fill this out." I said "I'll pass." Is Bob selfish? It seemed like he could care less that he's asking a ton of people to take an hour of their life and yet he can't get his lazy fingers to type more than a few words or take 5 minutes to talk. An incredible person named 🌟Lisa came to me through the chat icon you see below. It just happened a few minutes ago. We had a productive "chat". 🌟Lisa is trying to help someone she knows grow their business with HubSpot. She heard some good things about us and saw that we are Platinum Partners with HubSpot and also had one of the highest rankings in customer satisfaction with all of our reviews. 🌟Lisa asked a lot of great questions to find out if we could help. That is awesome! Why is that awesome? First of all she's not Bob. Although Lisa was "researching" and also didn't want to use a phone at this stage, she engaged with a conversation. 🌟Lisa thinks we can help best but wasn't sure about one thing. So she asked this. "The person I'm trying to help may also be looking for ongoing services around strategy and execution is that something you also help with or is it purely web design?" 2:08 PM Ok that's a tricky question. Let me explain. When HubSpot was growing in 2013 they had an obsession with content. And it was considered "full service" because content was the thing there product was known to address. I got chided by a lot of people their for sticking to my guns on "design". Turned out that a lot of lead gen sites didn't need more top of funnel content to drive top of funnel leads. Because their conversion rates were horrible, many below 0.25%. So we narrowed in on the design, but not fluffy or "code-y" stuff. We did strategic based design. Far more complex and buyer focussed. We found that by focussing on that we could 2X, 3X, 4X results on the traffic that already existed. That said a lot of sales people at HubSpot to this day consider a lot of the content stuff and retainers to be "helping the client". And sees retained content retainers a more valid partnership than what we do. But we have proven to provide way to deliver more happiness and results than that other model. So what we do when people need the things we don't do best, is partner with other agencies. But more specifically partner with very consultative agencies. Because most of the standard services are very easy to source. I know that's a long answer that should be a blog post. As long as you can either help them or pull in other resources to do so, I am comfortable with that! Do salespeople stink or do you stink? Or do stinky people find stinky salespeople? P.S are you an agency who can relate to my chat with Lisa?